Next parcel collection is in 3 days 12 hrs 29 mins Buy before then to get free UK Mainland delivery, for the next working day. Subscription Small White Box - Size: 5.5x4.4x1.3"
Our postage boxes are made with top quality board and come in a range of sizes that are suitable for shipping through the postal system. 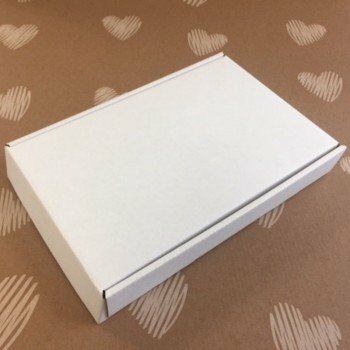 Our subscription boxes are perfect for sending with Royal Mail and conform to the small parcel guidelines. All our boxes are supplied flat packed which demand minimum storage space when empty.